Here we have an absolutely new product all over the world! A new way of seing! 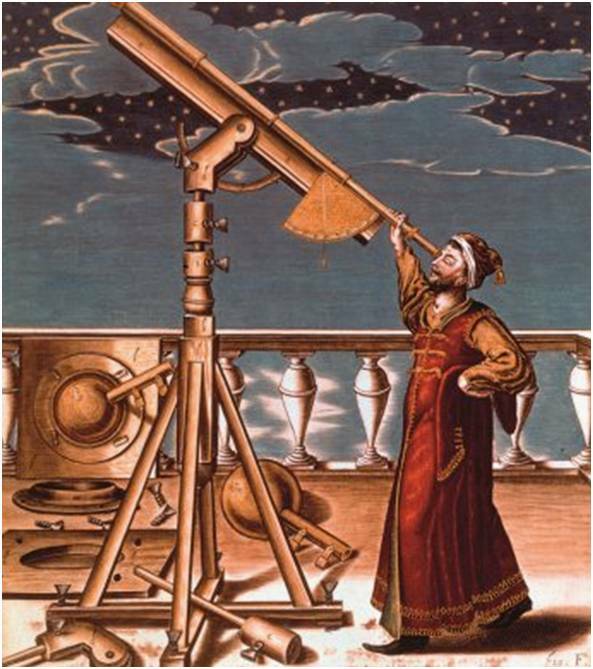 since the telescope invention in 1609. This telescope idea was born from a conversation together an amateur astronomer which told me about difficulties in observing a night long in a conventional telescope without being tired the next day. That way was born a new way in building an “ergometric type” telescope. 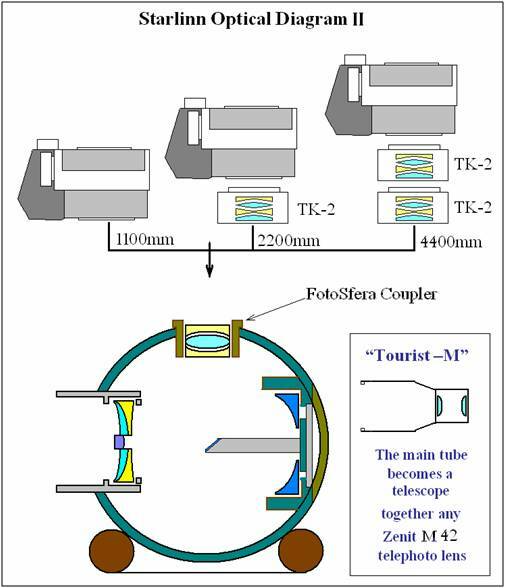 Of course, optical systems could not be radically modified, but combining the construction ideas of the large observatory telescopes, the seeing mood of the researchers in table microscopes, and not forgetting the primitive way of heaven observation , the “naked eye”, we fused all together gathering the general construction principle of compactness. Taking in mind a future production and marketing, we felt that the final price could not be too high in order to be a good selling product. In order to improve its capabilities we added possibilities of all types of camera couplings. The final result was the “Ergop” (ERGometric –telescOPe) the first name of our first prototype. 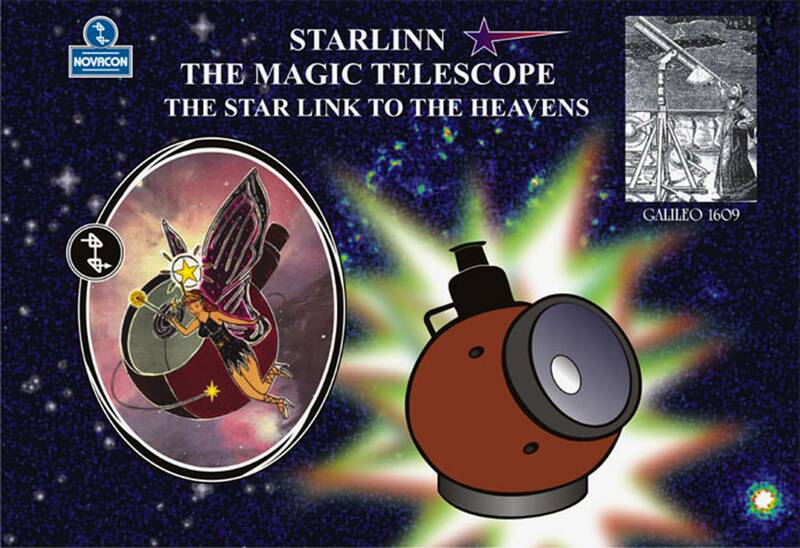 We developed this prototype even further choosing a more sounding name “Starlinn” and developed an insignia based on a “flying fairy”. Once decided the shape of the new telescope, we opted for a relatively simple optics and found on the Rubinar 1000 the ideal source. 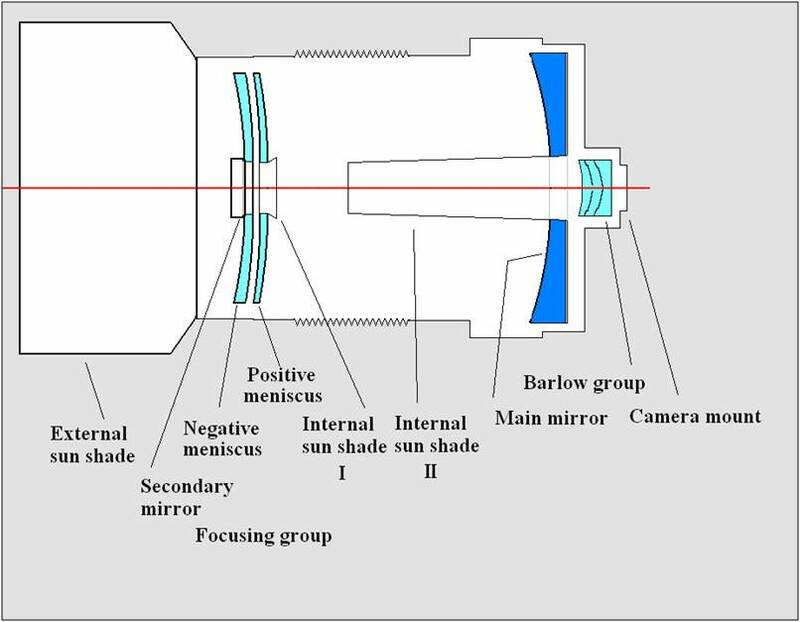 All optical elements are used arranged in a new simple shape in which an extra mirror is used in the optical path. 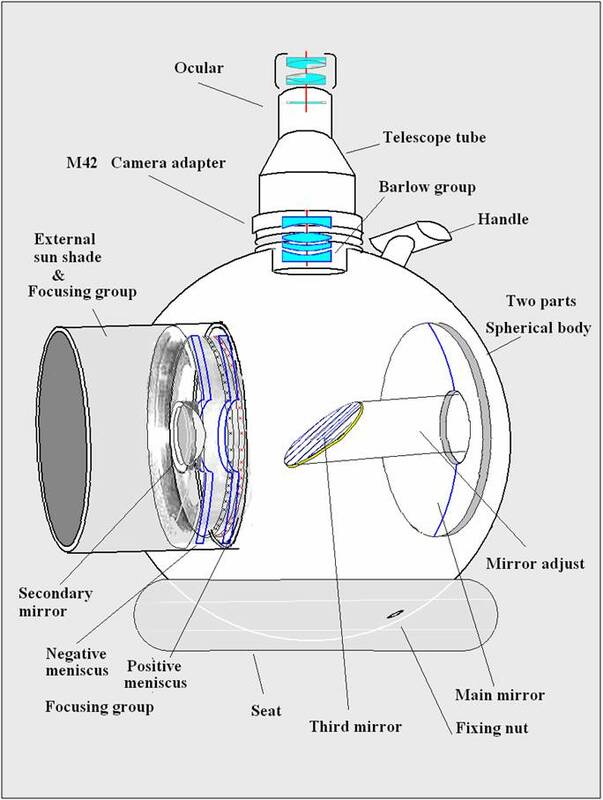 The original chosen mirror was a rectangular swinging mirror taken from a surplus Kiev 19 camera, reshaped in an oval form, and glued in an adjustable tube with strong rubber glue. The prototype telescope was built taking into account simple and low cost manufacturing methods taking in mind a future commercial model. 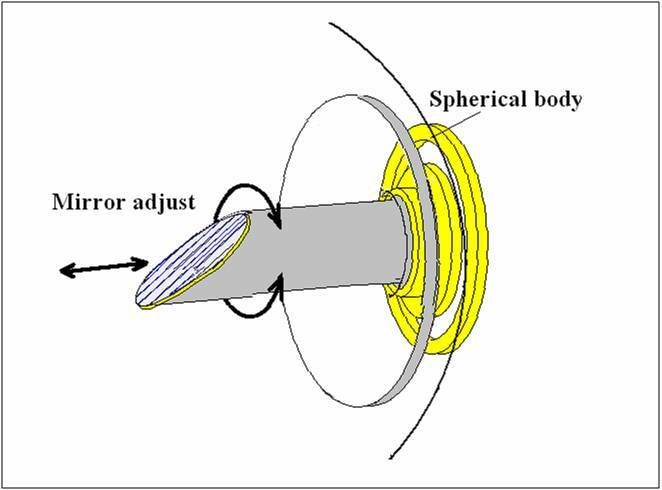 That way we used a 45º terminal cut at the axial tube emerging from the back main mirror. 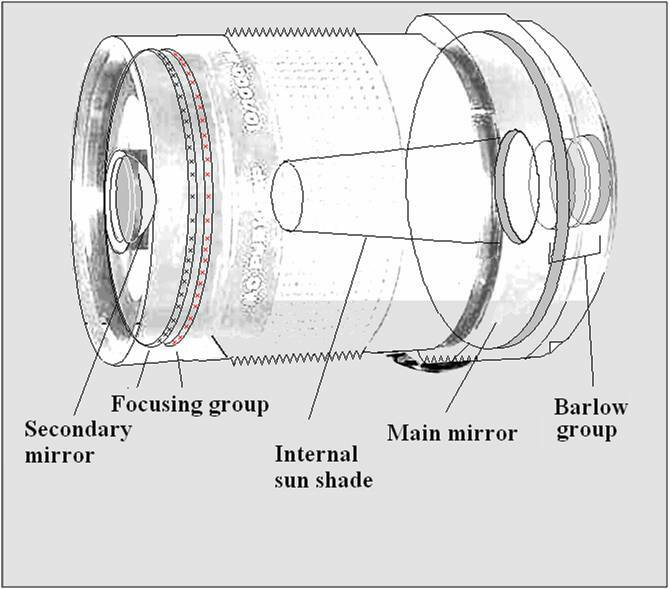 The front doublet and the secondary mirror as well as the main mirror are intended to be mounted over “O” rings, the extra space also was intended to mount shock absorber tubes for greater durability. The full set of previous enclosed drawings completely details its construction. The idea was born. The departure shape was an unique ball, resembling a giant eye. Its shape leads us to new observation techniques and brings us several interesting advantages. First of all, is avoiding the costly giant tripod and head needing only an a near costless kind of rubber tire; the movements are completely free at an unreached level by any kind of existing telescopes, due its unique own shape. 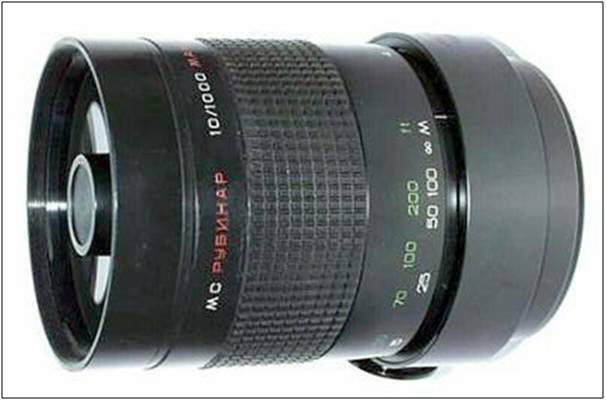 The high quality optics allied with the lowest possible price offers a better product on the market. Its isobaric characteristic lets a self equilibrium in any position. 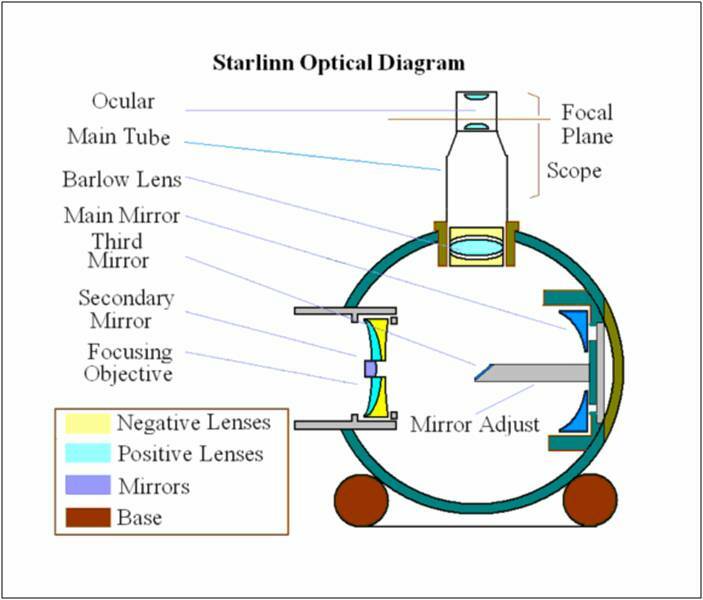 The Result: The Starlinn spherical telescope. 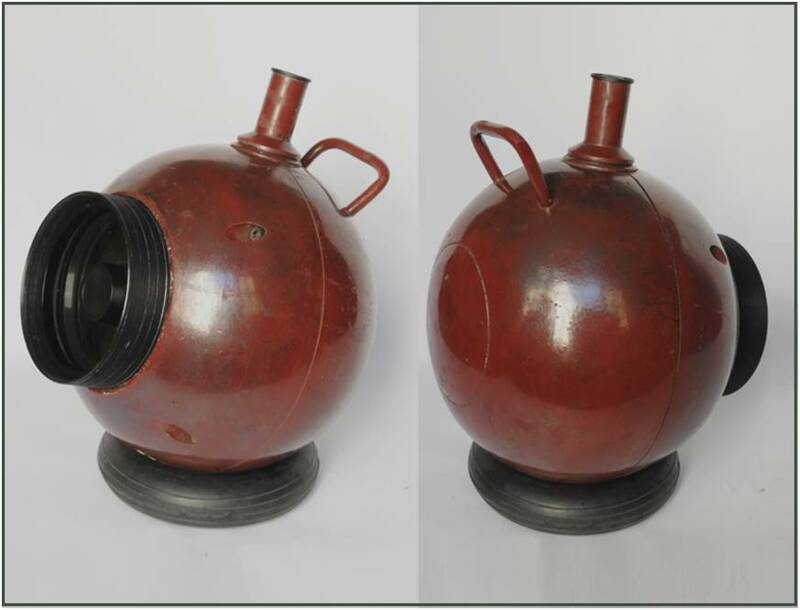 We introduced a third mirror in the optical path in order to break 90º the light rays, thus making a spherical completely mobile and stable telescope. Its shape favors a complete uniform weight distribution bringing an isostatical and near isobaric distribution remaining stable in every set position. 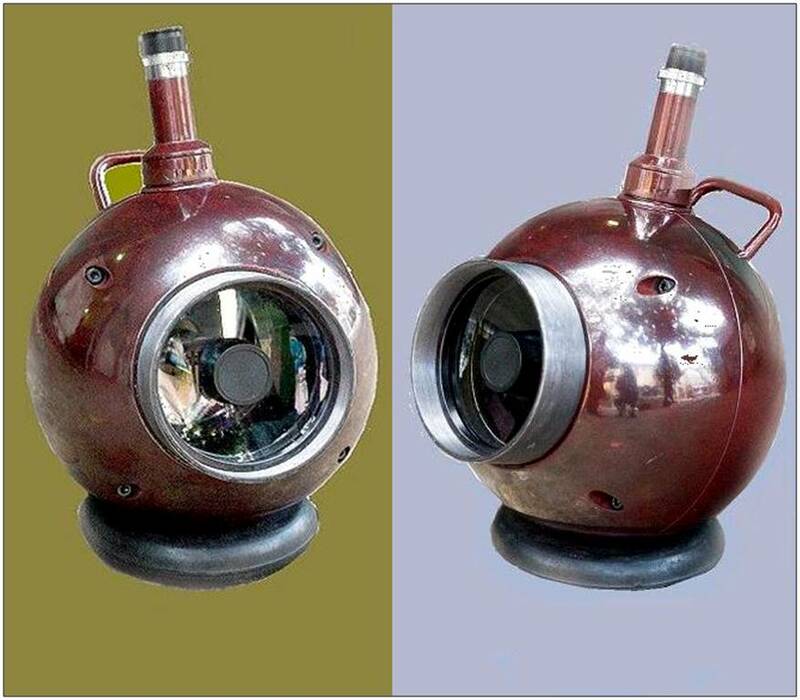 Its shape resembles the oldest astronomical observation instrument =The Eye=. In use the telescope is only “sat” in a rubber tire type simplifying and quickly setting up its operation. 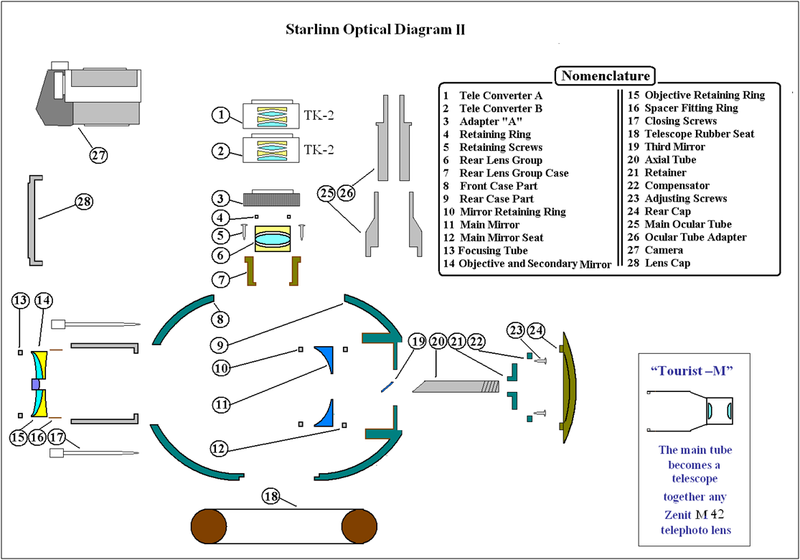 The following drawings show the complete construction of the telescope which has only two main pieces. As an extra, the new version of this telescope has a detachable universal M42x1 eye-piece coupler which enables using together all cameras in the market and the bonus of be separately used together with any M42x1 lenses (Zenit Type) being a potential extra accessory for every one having other telephoto lenses. Uses of the main objective. Note: the prototype you receive has already very close production model characteristics. 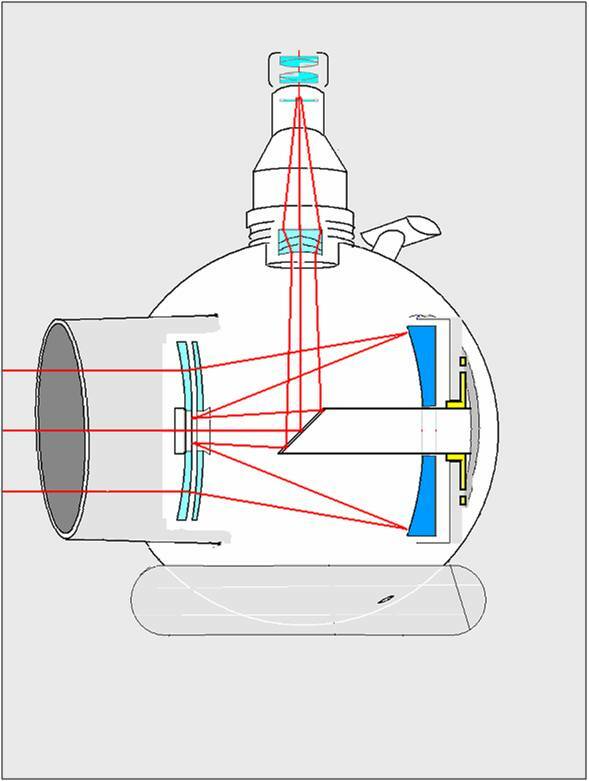 *This extraordinary telescope uses two main formulas: It is based in the Maksutov telescope lens and the reflecting system used in used in Wild theodolites. Combines the most of compact telescopes and construction Ideas used on the highest grade giant astronomic observatory telescopes. All this, for the very first time formulated to be a high compact and portable set. Similar in size to a bowling ball. Its construction turns itself light and portable, its ball design turns itself isobaric, isoform, and totally ergometric. The observer needs not be contortionist, and have no fatigue. Stellar observation becomes a double pleasure! *Absolutely free from vibrations due having no swiveling points or principal axles. Simple to operate and its affordable price turn itself onto a technology winner. A giant 1100 mm objective in a 25cm body! Places this piece in the highest amateur class telescopes. * To be Built in a cooperative mood Novacon-Lytkarino, this last one, having top world telescope technology construction experience. Isostatic construction enables stable equilibrium in any position. Free from vibrations in its dampening circular support. “T” type carrying handle on top.